X-on is the provider behind over 5,000 vaccination reminder services in Primary Care. The data cited in this discussion is sourced from research documents readily available on the Internet. Missed appointments cost the NHS around £700m a year. Surgery Connect offers features unique in a phone system, which are based on techniques studies have shown to make appreciable reductions in DNA figures - typically around 30%. Even at half that reduction, Surgery Connect can pay for itself, which is a compelling business case! 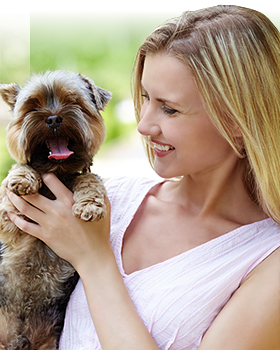 SMS and email reminders alone can make modest improvements to DNAs. However, the big wins come from seeking commitment from patients to attend, and encouraging them to comply with social norms. 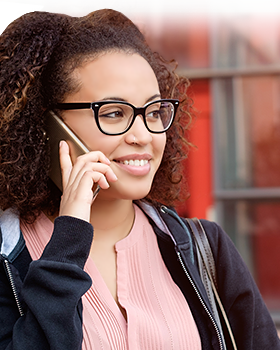 Surgery Connect allows receptionists to enhance engagement with patients with minimal additional effort, training or delay in processing calls. 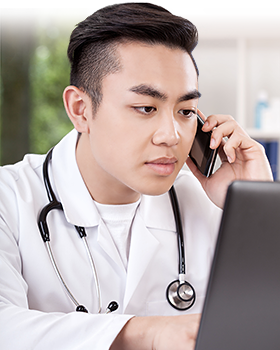 When a patient is given an appointment, it is evidenced that they are more likely to attend if they are asked to respond with a commitment to be there. 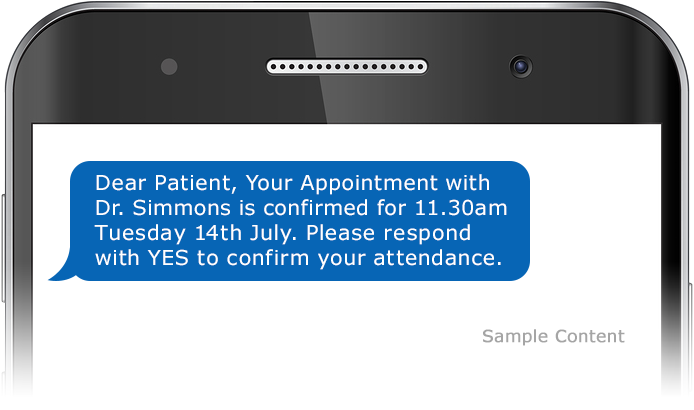 Surgery Connect achieves this by sending the patient a confirmation SMS with the appointment details and an invitation to respond 'yes' to confirm their attendance. The latest in speech recognition technology is used to automatically generate the SMS, so no complex integration or interaction is required by the receptionist. Over 50% of appointment calls are made from mobiles. However, the figures for DNAs are much higher amongst the younger population where mobile use is also highest, so the target reach is nearer 75%. DNAs are also reduced where patients are given information to record. This can be done by generating a short reference number for the appointment, displayed to the receptionist on the handset and echoed in the confirmation. The most common reason for DNA is that the patient simply forgot. Surgery Connect will automatically follow up confirmation with a reminder SMS or voice call at a fixed time before the appointment. Again, the language is important, as is the option to confirm or cancel. Before a patient is transferred to reception, or while they are waiting in a queue, Surgery Connect can tell patients how many others have turned up on time for their appointments during the past week. This positive reinforcement enhances a sense of obligation and works better than threats of censure for non-attendance. All these features are available to be chosen individually, or as a complete DNA reduction strategy within Surgery Connect. There is no extra cost other than a small transaction charge for SMS and reminder voice calls. For more information on Surgery Connect contact Sales on 0333 332 0000.